Spring as always sneaked up on us and turned to summer before we knew it! The grass has really taken off. This is the area around last year’s garden. It has been my duty the past few weeks to get the high grass under control and mowed. DR Mower to the rescue! It is a high-wheeled super-charged string trimmer. I highly recommend it! 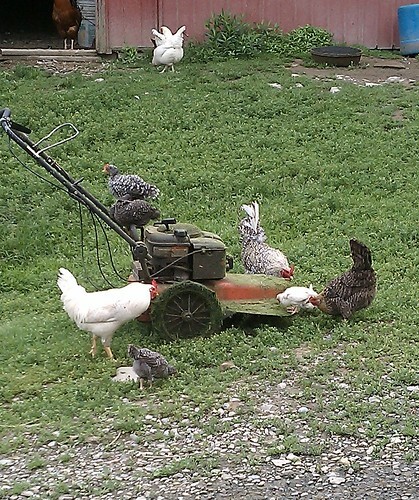 The chickens here are cleaning off some freshly cut grass from the mower. All of the animals have learned that our mowers are wonderful if loud salad shooters and provide lots of fresh treats. 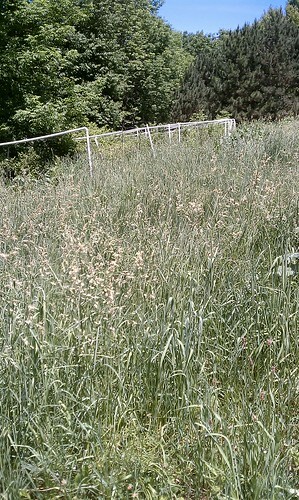 Here is that field after mowing. Did I mention the mower is self-propelled? Very helpful. 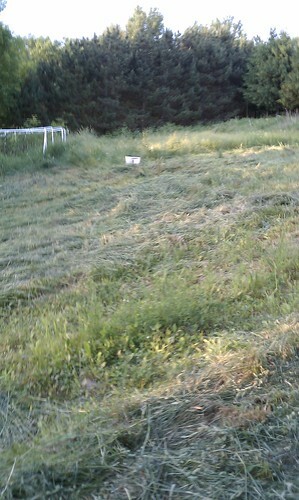 I should have taken a before picture but here is the pig pasture after mowing. Its grass was as high as the previous field. 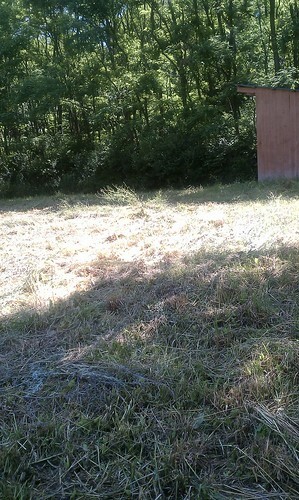 We initially bought the mower to work on clearing fence lines — electric fencing needs to be clear of high grass or the charge will be affected — but as you can see it works great for mowing large areas as well. 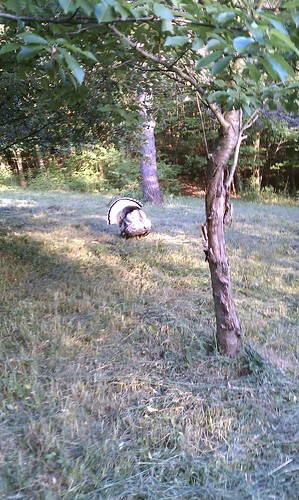 Murphy enjoys a stroll in the orchard after it was mowed.